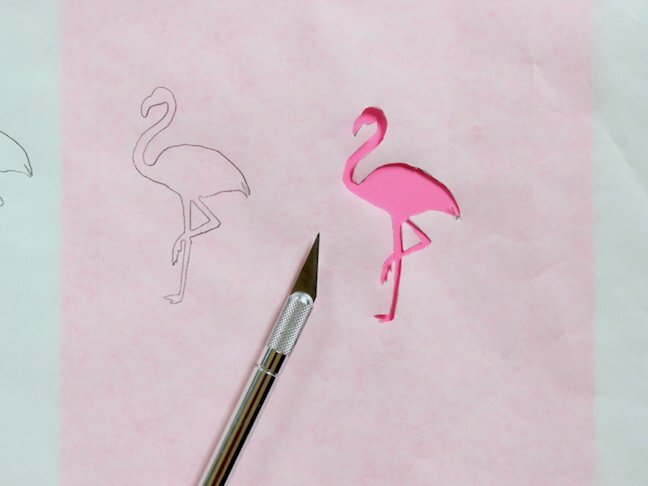 The flamingo may just be the new unicorn! 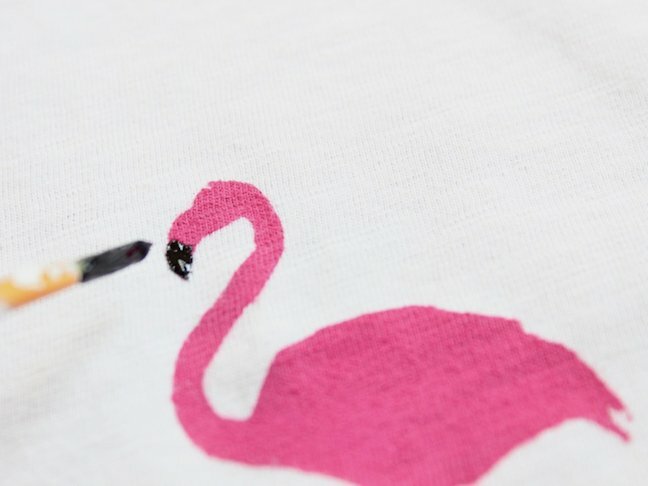 The popular pink bird is on just about everything from sunglasses, planters, and water bottles, to towels and totes these days. 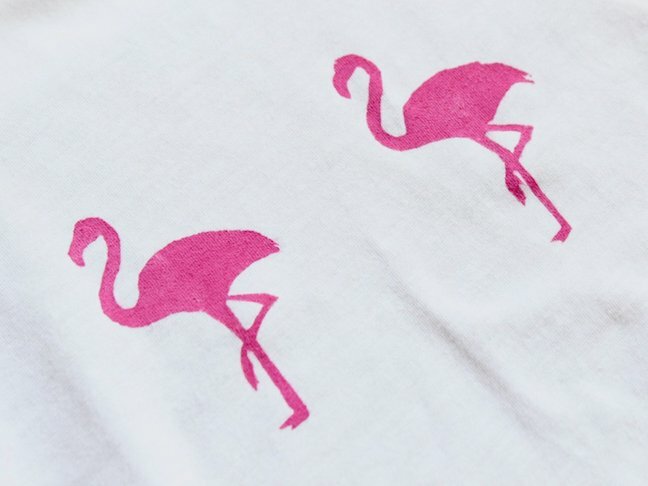 I don’t know if it’s the summer heat or the bright pink color but my daughter and I are feeling the flamingo frenzy. 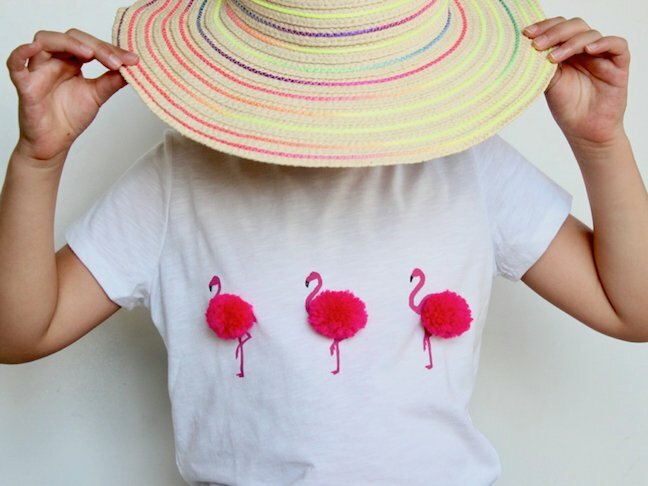 We also share a love of all things pom pom adorned. 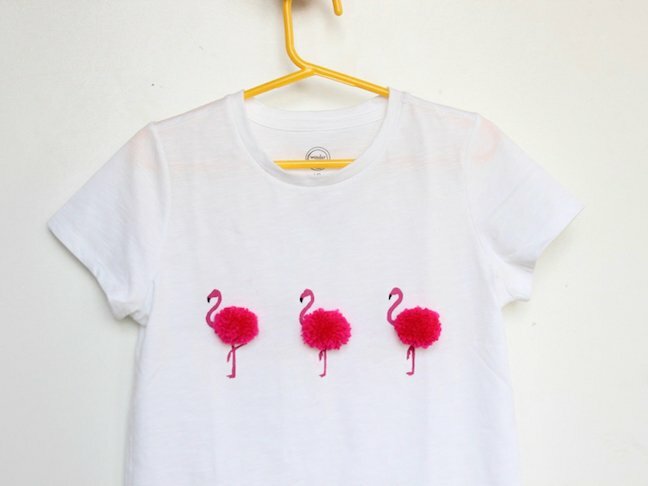 After making pom pom earrings, bags and scarves, the next logical step was to make a DIY pom pom flamingo t-shirt! Talk about having the best of both worlds! 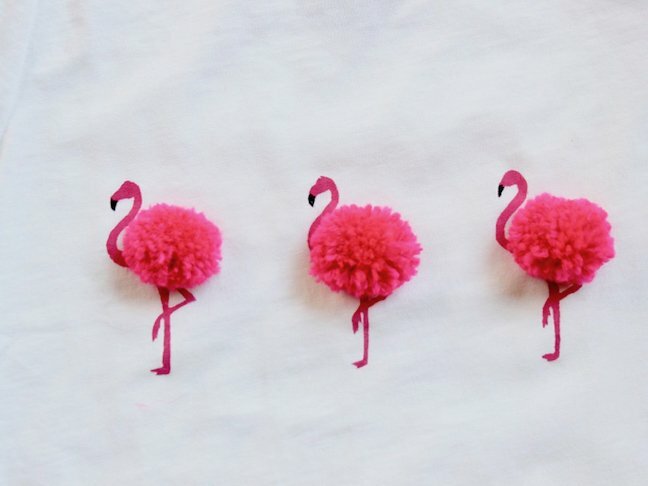 Step 1: Make DIY pom poms (or buy some). 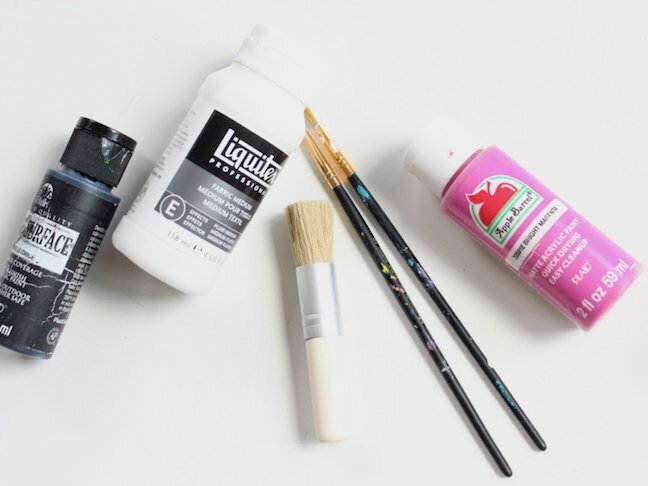 This is a craft you may get addicted to because it’s easy and fun. 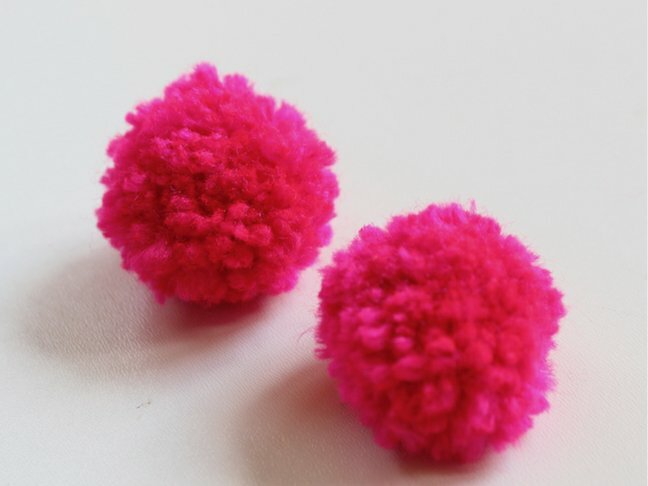 There are a variety of ways to make pom poms. I used a fork. 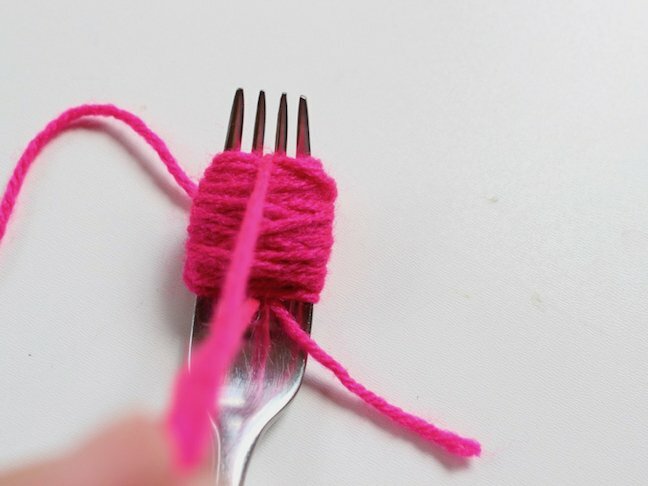 First, wrap the yarn around the wide part of the fork approximately 40-60 times. 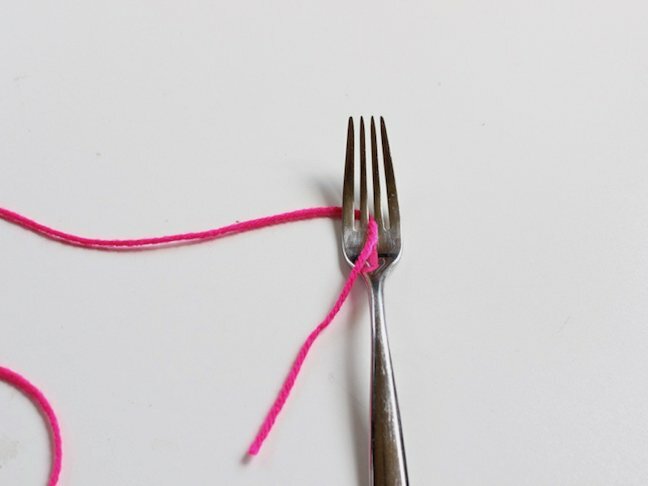 Once it’s wrapped, cut a piece of string about 6 inches long and insert it through the center of the fork. 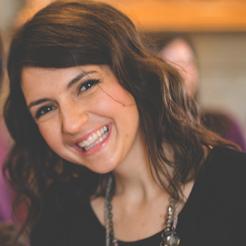 Grab each side of the string and tie a tight knot. 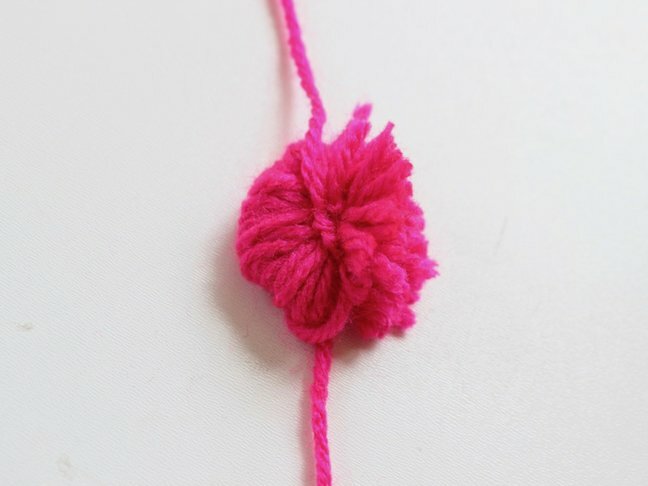 The knot should be in the center of your wrapped yarn. 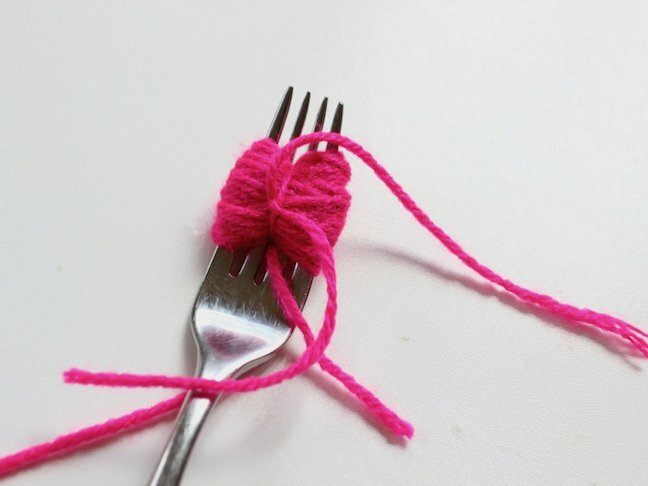 Now, remove the yarn from the fork. 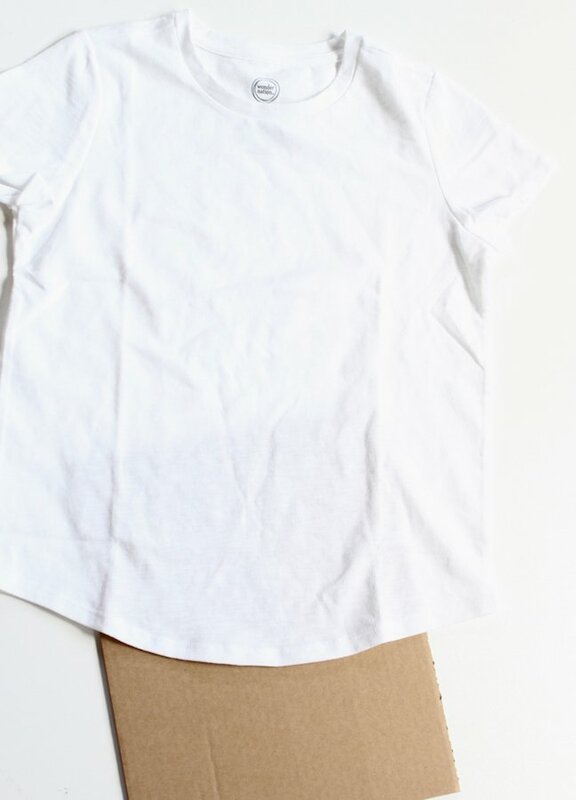 If the knot doesn’t look tight enough, you can use another piece of string to tie another tight know. 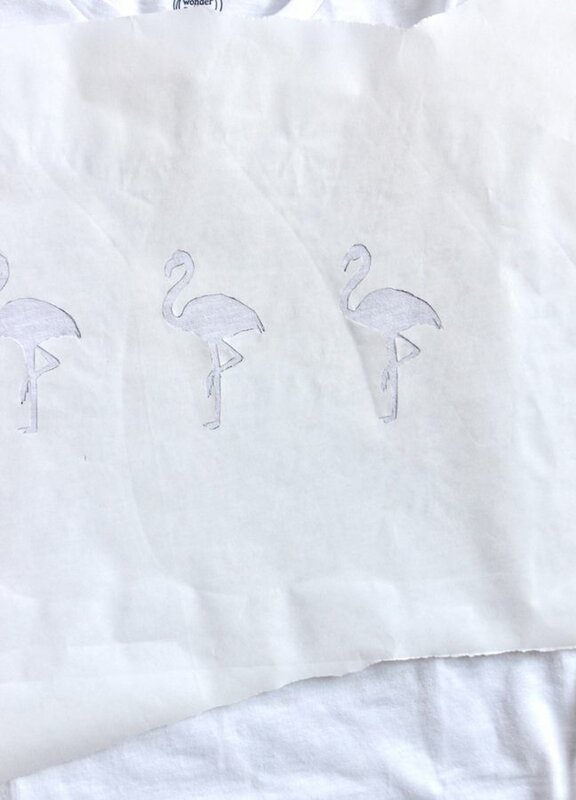 Next, begin to cut the yarn where it’s looped on the sides. 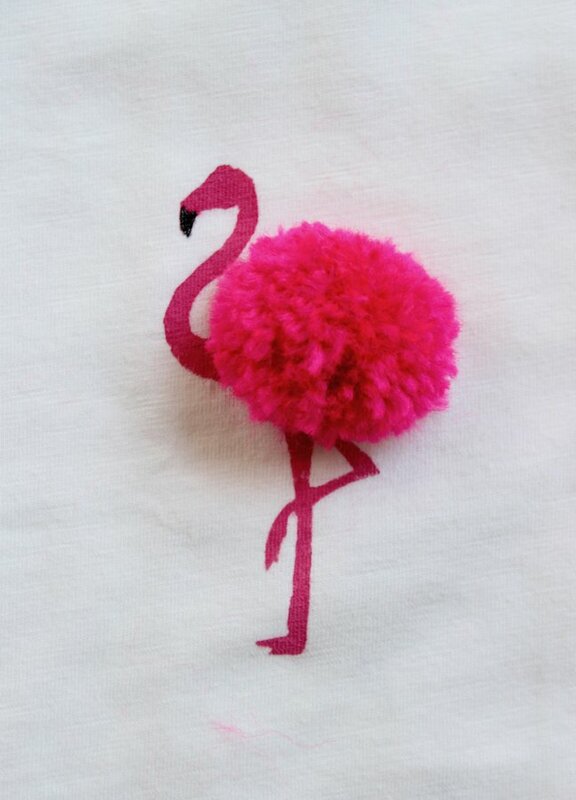 You will see a pom pom start to form the more loops you cut. 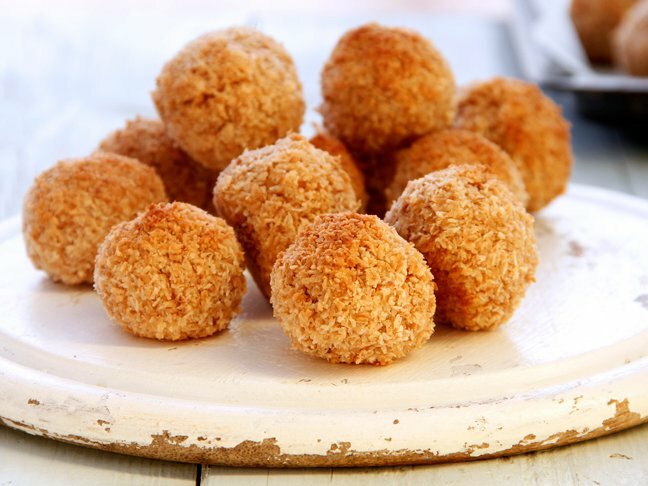 Continue until a pom pom is formed. Do not cut the center knot. 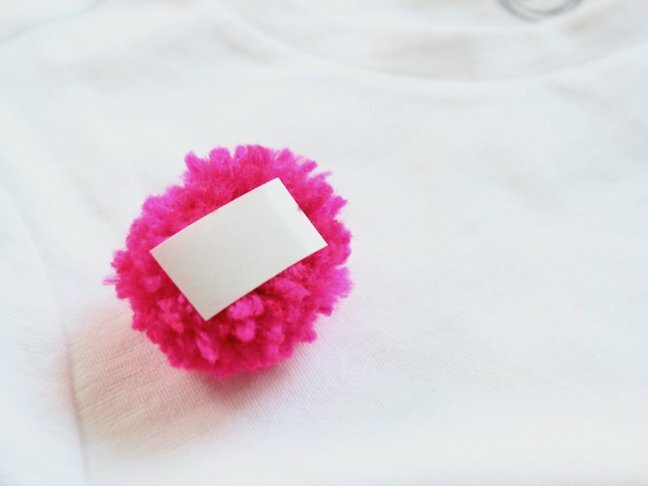 Continue to shave, or cut with the scissors until a round pom pom is formed. 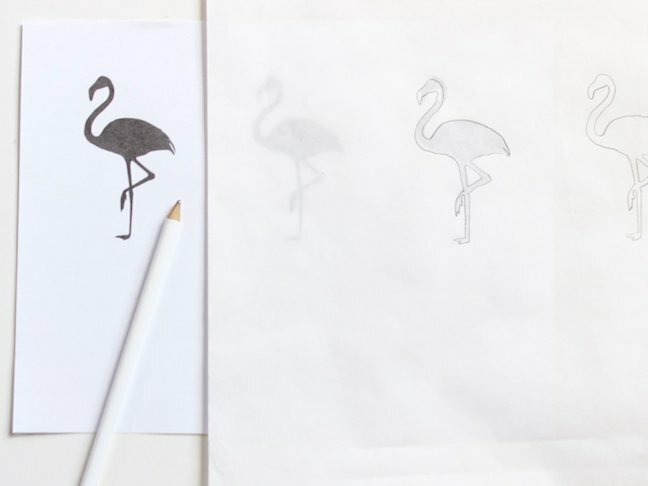 Step 6: Once the stencil is painted, peel the paper up to reveal the design. 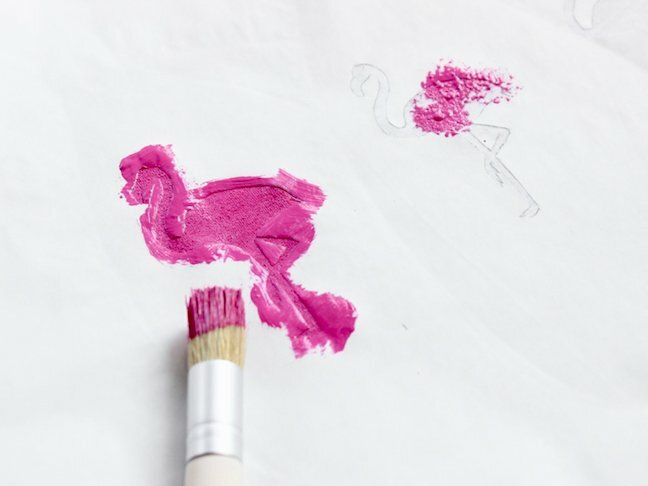 When the paint is dry, you can add the black color to the end of the beak on the flamingo. I freehanded those parts. Step 8: Wear it, and accessorize it with a fun hat.